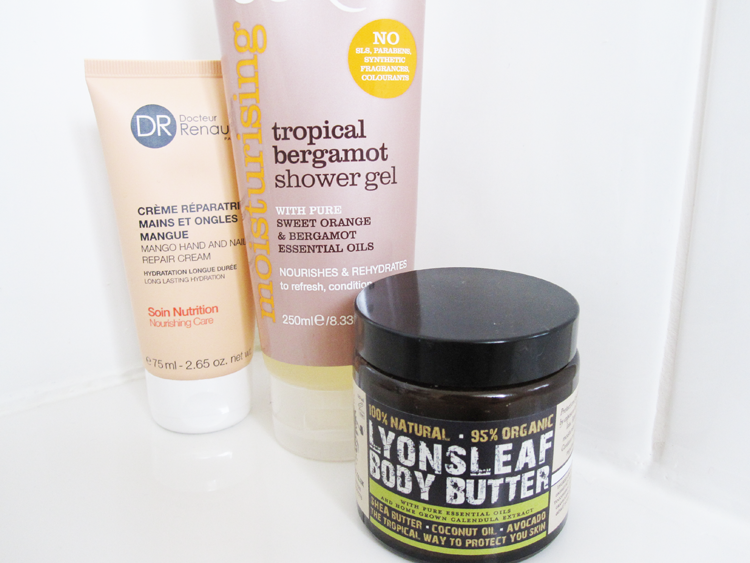 Here are some recent additions that have made their way into my bathroom this month; a new fruity hand cream, a new tropical scented shower gel and a gorgeous new body butter. I use hand creams regularly throughout the year to keep my paws in tip top condition, and like to switch to lighter ones when they're feeling less dry and weather worn from the previous cold winter. This is the first product I've tried from French brand, Dr Renaud, and so far I'm loving the non-greasy but still hydrating texture. The formula contains organic Mango Oil, Mango Butter, Shea Butter, Jojoba Oil, Sunflower Oil and Vitamins B5 and B6 to deeply nourish and protect hands that may still be feeling a little dry after winter. I love the fruity Mango scent too! Elsewhere in my bathroom, you'll find a half empty tube of Organic Surge's Citrus Mint Shower Gel amongst the shower gels that I currently love to use, but this Tropical Bergamot flavour has definitely become a new favourite. The scent is a heavenly uplifting mix of Sweet Orange and Bergamot Essential oils which is perfect for using first thing in the morning and the SLS free formula feels moisturising as well. I'm a big fan of natural brand Lyonsleaf and absolutely love this Body Butter which is 100% natural and 95% organic. The ingredients are pure and just fantastic; it's packed full of Organic Raw Shea Butter, Cold Pressed Organic Coconut and Avocado Oils, Vitamin E and essential oils such as Clary Sage and Geranium. It has a super thick concentrated texture, but melts like butter when applied to the skin and a little goes a long way. I'd highly recommend this for anyone who has dry skin and skin conditions such as eczema. What products have you been pampering yourself with recently? No, it's more of a light herbal/natural scent is that makes any sense?! 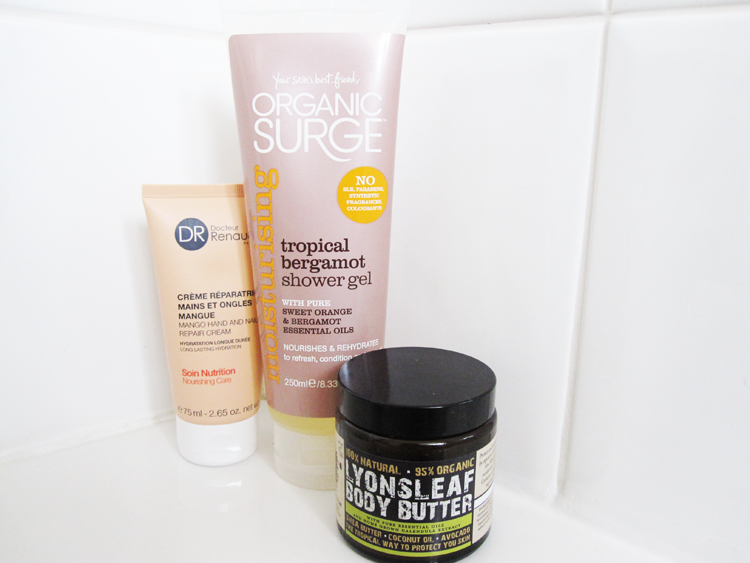 I've been using the Organic Surge Almond shower gel recently which I absolutely love! Tropical Bergamot sounds lovely too. have to admit that im a sucker for packaging and that graphic design on the body butter is awesome! typography really makes a product sometimes. Their packaging is very cool!